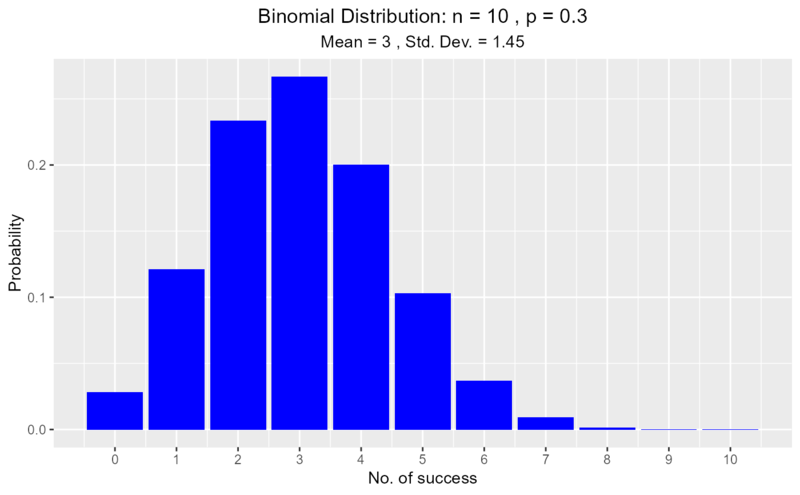 Visualize how changes in number of trials and the probability of success affect the shape of the binomial distribution. 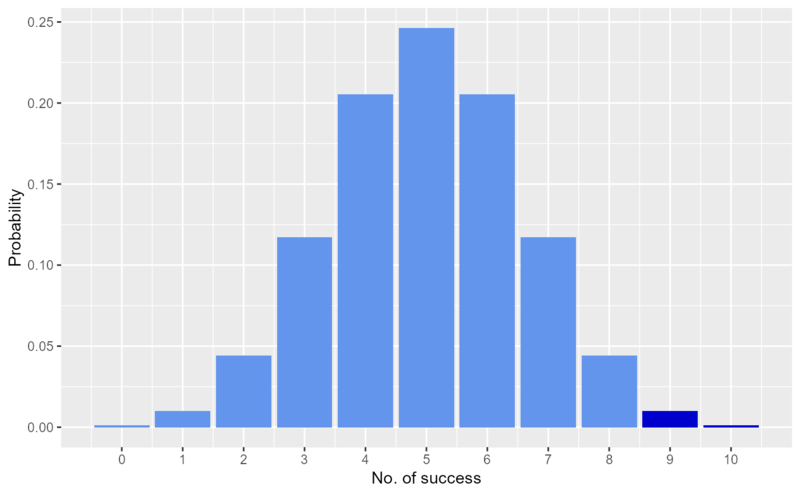 Compute & visualize probability from a given quantile and quantiles out of given probability. 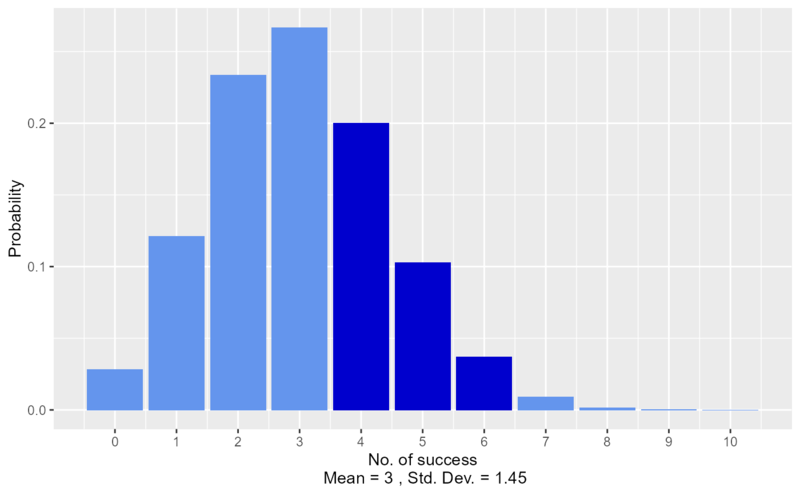 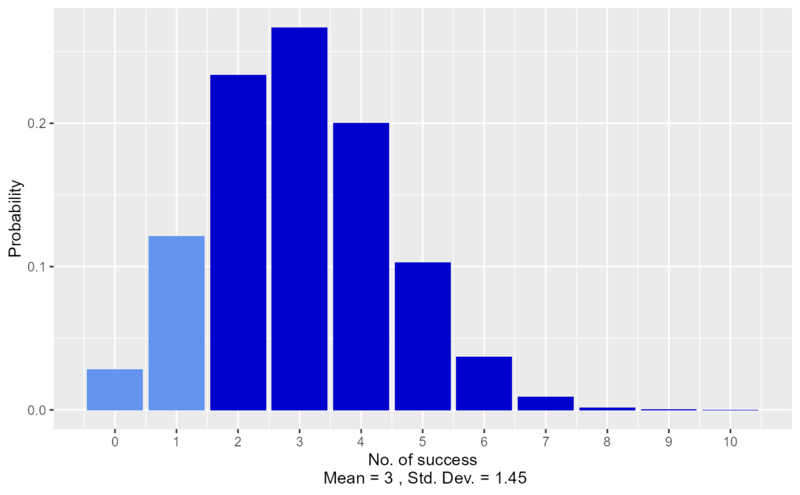 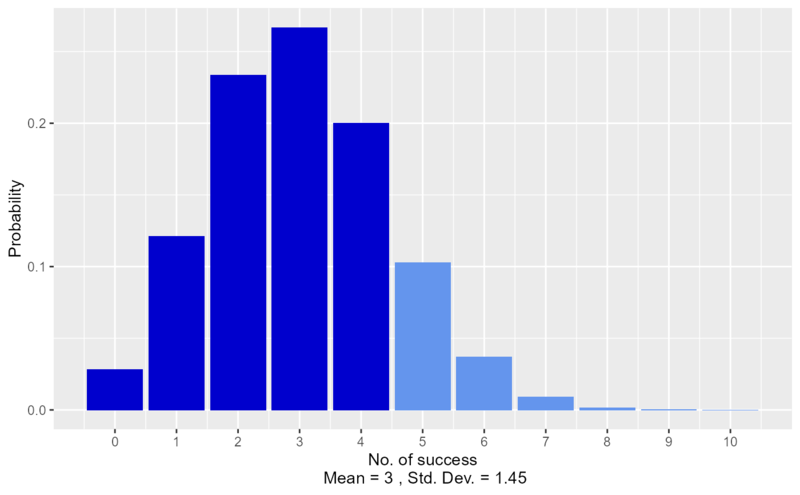 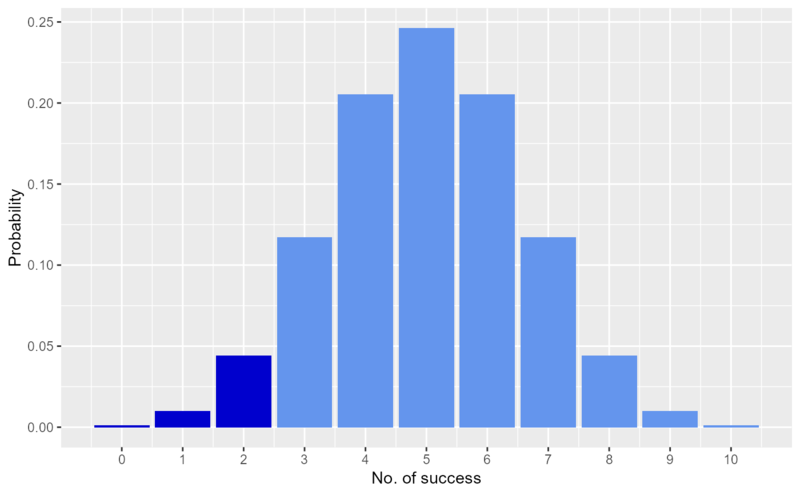 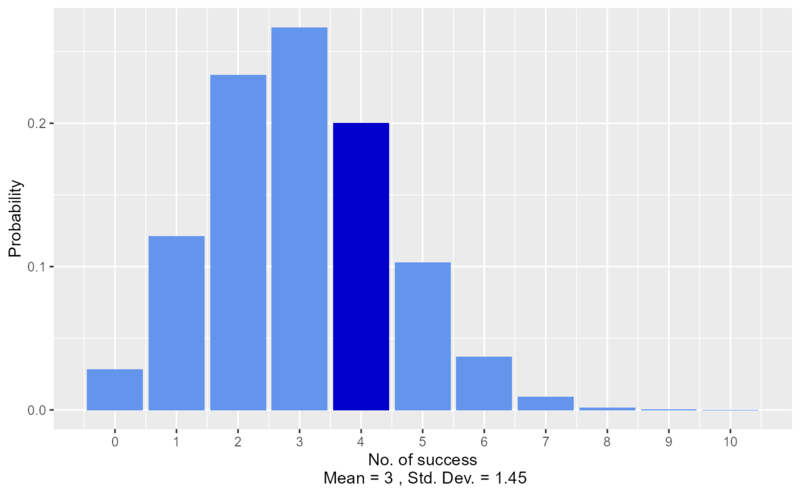 Probability of success in a trial.